The word recovery tool is the way to recover the corrupted and damaged Word files. 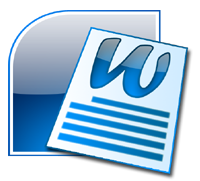 The tool recover word document and provides different recovery modes- quick recovery mode, image recovery mode. After recovering word file you can export recovered word file into three formats .html, .doc, .txt. Software easily Install on Winnows OS. Repair multiple corrupted Microsoft word document files. Repairs corrupt MS Word file created using Microsoft Office 2013, Office 2010, MS Office 2007/2003/ 2002, and 2000. Recover and restore data from damaged unopened, corrupted Microsoft Word files and documents. The Word Recovery demo version gives a preview all the recovered .doc. The docx file recovery tool allows repairing the file without much hard work and time consuming. The tool is implemented in a user friendly manner and there is no much effort needed to understand the proceedings of the tool. The outstanding features of the tool include; The tool is very effective since it runs with three recovery modes for any kinds of corruption. You will find quick recovery, image recovery and salvage recovery for word file recovery, image recovery and recovery of entire document respectively. The severity of the corruption or damage is not a problem at all. The tool repairs all the files without the data lose. The tool firstly scans the loaded file, analyzes the error or damage and then, previews the recovered file. And after the preview it allows the user to save the document either as following; as plain text, HTML and/or doc file. Get the word file recovered with Word recovery Software. The software precisely repairs the doc/docx files, retrieves all the text files as well as images. Though the tool reads one file at a time, you can recover files of any size without failure even if the corruption is severe. There is demo version available with this software but, is restricted to the preview of the recovered file. In-order to get the file saved in the system, yours will have to go for full version. How many Windows versions supports by the Word recovery tool? The software supports Windows 8 and all below versions. The software can recover word document without MS office? Yes, The software doesn't need of MS Office to recover word file. No, demo version of word repair tool can only display a preview of the recovered word file.